Stone Town is just a fraction of the whole Zanzibar City, the capital of Zanzibar. 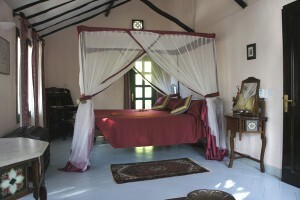 As Stone Town is the main historical city part, the whole urban area is full of old palaces. 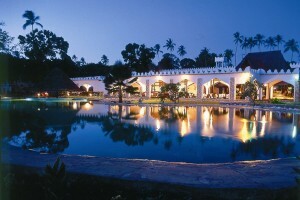 Zanzibar City is also full of modern buildings, shops, restaurants, beach resorts and international offices. It is surprising how nice beach experiences it is possible to get in the city. 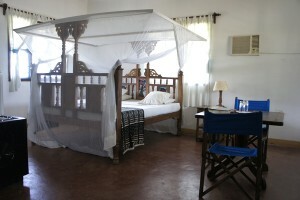 There are many high quality resorts with reasonable prices just 10 minutes drive away from Stone Town. It’s also easy to just spend a day at the pool in places like Zanzibar Beach Resort or Mbweni Ruins, even if you stay somewhere else. Some of the most known neighborhoods of Zanzibar City are: Chukwani near to the airport, Mbweni with beautiful beaches, Mlandege with big offices and modern buildings, Bububu with busy local life and great beaches as well. With the lush gardens, ocean and easy access to Stone Town, Zanzibar City is a home to many palace ruins. Most well-known palaces are Mbweni, Mtoni and Maruhubi. The old palace of Princess Salme, now called Salme Gardens, is less known, but beautifully restored. Jozani National Park is home to several habitats including swamp forest, evergreen thickets, mangroves, as well as a variety of wildlife, including sykes and red colobus monkeys, bush pigs, Ader’s duiker and suni antelopes, elephant shrews, chameleons and lots of birdlife. This boat trip will take you to the historical Prison island fro Stone Town. You get a chance to see the islands’ giant tortoise and snorkel in the surrounding corals. Fishing village, sand bank, snorkeling and beach life. A Full day trip on a traditional dhow boat around the southern coastline of Zanzibar. This magical journey will take you on an exploration of the Indian Ocean from Fumba fishing village to the Menai Bay conservation area. This is a one day tour in Chumbe Island, one of the best snorkeling and nature spots in Zanzibar. This tour is a bit of luxury, with a beautiful day room and a delicious three course meal. All reservations made through us are the same price as you would get directly form the hotel – no booking fee added. This hotel is very near to town, but feels like far away. Great pool area for day visits! Maruhubi offers affordable prices near to town with good facilities – like terraces and a swimming pool.